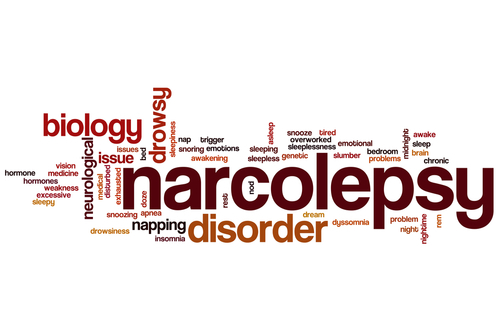 What is Post-Traumatic Narcolepsy & What Type of Treatment is Available? Post-traumatic Narcolepsy After a Serious Head Injury It has been estimated that about 43% of people who suffer from a serious head injury have some type of sleep abnormality, typically sleeping more than usual. After the initial recovery phase, 43% of those suffering a TBI complain of developing sleep disorders. One of the long lasting effects of a brain injury can be the onset of post-traumatic narcolepsy. Post-traumatic narcolepsy is defined as narcolepsy that develops following a head injury in a previously asymptomatic person. Narcolepsy is characterized as experiencing excessive daytime sleepiness (EDS), cataplexy, hypnagogic hallucinations, and sleep paralysis. The complaint of excessive sleepiness (hypersomnia) is not uncommon after a head injury, but post-traumatic narcolepsy is becoming increasingly prevalent as the nature and diagnoses of narcolepsy is better understood. The most common form of narcolepsy is narcolepsy with cataplexy (Narcolepsy Type I) which is characterized by an abrupt loss of muscle tone or strength that results in an inability to move. Cataplexy always occurs during wakefulness. It can be localized to just a few muscle groups, or generalized, involving the whole body. It is normally caused by strong emotions such as laughter, excitement, surprise, anger, etc. Loss of neurons in the hypothalamus which produce the wake-promoting neuropeptide, hypocretin, cause the severe sleepiness associated with narcolepsy. Following a brain injury, these neurons are reduced causing the onset of temporary excessive sleepiness in some and permanent narcolepsy in others. Narcolepsy without cataplexy (Narcolepsy Type II) is characterized by excessive sleepiness without the sudden loss of muscle strength and tone which causes periods of immobility. Excessive sleepiness and frequent naps during the day are common, but it is important to note that people with narcolepsy do not necessarily sleep more hours than a person without a sleep disorder. They may have trouble sleeping throughout the night because of sudden awakenings during their sleep. It is important to note loss of consciousness after a head injury is not necessary to develop post-traumatic narcolepsy. The majority of patients studied for post-traumatic narcolepsy only experienced a mild TBI and showed no abnormalities on radiological examinations such as CT and MRI. There is no cure for narcolepsy and if cataplexy is present then the damage to the neurons in the hypothalamus is irreversible. Treatment for post-traumatic narcolepsy involves treating the symptoms with central nervous system alerting agents such as Modafinil, amphethamines like Adderall, and other amphetamine-like stimulants such as methylphenidate, commonly known as Ritalin, to alleviate EDS and reduce the incidence of sleep attacks. Patients suffering from post-traumatic narcolepsy will find major lifestyle changes are often necessary to compensate for the sudden onset of EDS. You may have to schedule multiple naps throughout the day that could interfere with work or other normal day-to-day activities. Common everyday activities such as taking the stairs or using a toaster oven can become dangerous if a sudden attack of sleepiness or cataplexy occurs. Driving a car or riding a bicycle is out of the question. Many people suffering from the more serious symptoms of narcolepsy can no longer work and require constant supervision for their own safety. Most people who suffer from narcolepsy find support groups helpful for dealing with the major lifestyle changes that occur. Many people also try to avoid situations that evoke strong emotional responses because the feelings can trigger cataplectic attacks. Support groups also provide individuals with a network of social contacts who can offer practical help and emotional support.